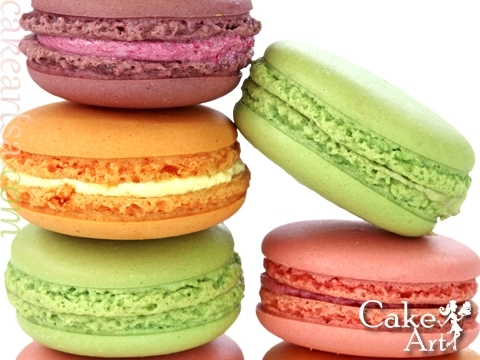 French macarons are made by hand daily from fresh egg whites, icing sugar, granulated sugar and fresh almond. Please come by the bakery and try some tasty French macarons with a cup of coffee. You’ll feel like you’re sitting in a French cafe… without all the jetlag! We bake your macarons from scratch Monday – Saturday, but we do run out so please call us at (210) 277-0308 to reserve your cookies. By-the-way, don’t confuse them with toasted coconut macaroons also available in our pastry case!